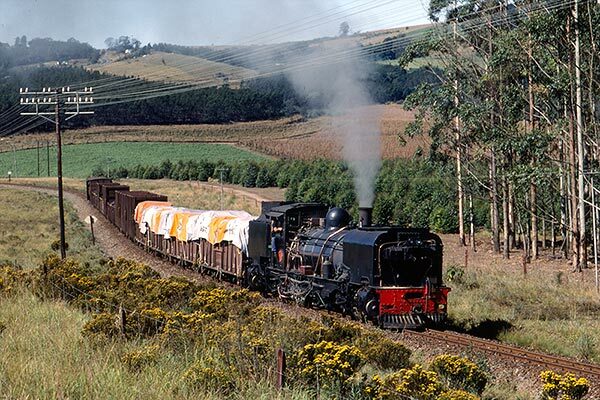 Caption - South African Railways (SAR) 2-foot gauge NGG16 class Garratt 139 heads the 07h00 Umzinto to Ixopo goods in May 1983 and is seen above Dumisa. This loco was one the final batch of steam locos built by Beyer Peacock and entered service in 1958. The loco is in immaculate condition showing the crew's immense dedication to their job.